If you are familiar with MDA, then you would maybe welcome this scenario, where you create a PIM and PSM with source code are then generated according to specified technology and platform. However, Entity Framework is not about UML modelling of PIM, but has features to easily create entities, associations and inheritance between them in .NET solutions. 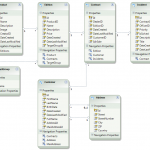 You are able to generate DDL schema for database you choose and C# or VB code of entities is generated, as well. So you can look on EF as an OR/M solution, as a tool to create your Data Model or to be a starting point for Domain Model with specific domain/business logic implemented in partial classes. 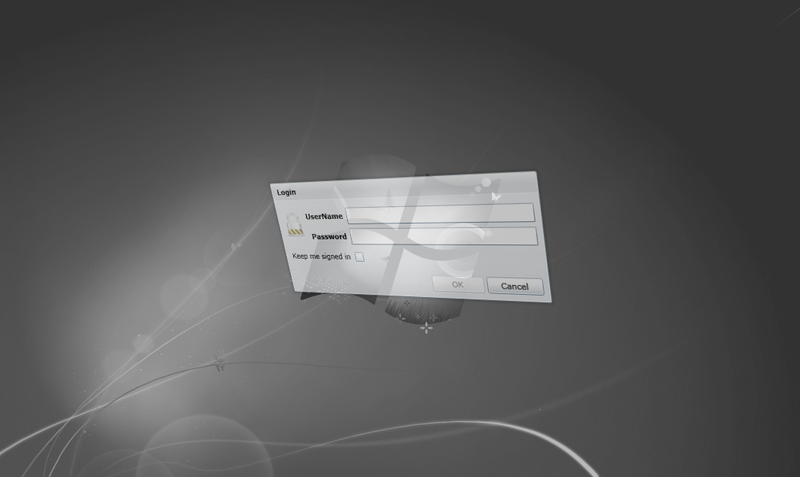 I’ve experienced several problems and I have to take a closer look on OOB, how it works and how we can for example install our silverlight application from CD. Out of Browser is a feature of Silverlight 3+ Applications, where the user can install the application to the desktop and you as a developer can provide more functionality, especially when application is installed as trusted. If you browse the web you would find few articles on modular RIA Services applications. Even if you visit the blog of Brad Abrams and open Business Apps Example for Silverlight 3 RTM and .NET RIA Services you will notice the post about Modular Development is not written yet. 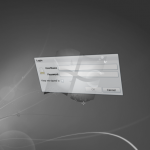 This post belongs to RIA Services MVVM Prism LoB Application series, read Introduction post to find out more about it. Translated to “human language”, a part of my bachelor thesis is implementation of modular business silverlight application build upon MVVM (Separated presentation) pattern and WCF RIA Services (simplifies the development of n-tier RIA solutions). Application is published under open-source license and is located on CodePlex so you can download the source code and explore how this or that was done. I decided to write a few separate articles to describe the solution. Prism (Composite Application Library) solution structure based on the Business Application Template. Note: I plan to publish at least one article every week, so come back in month or two if you are interested. At first, check out the SketchFlow prototype (or just PDF exported document) which I’m going to describe here, to see whether the rest of article is interesting for you. 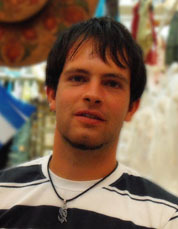 Download the source code of the project. Patterns&Practices team released the second version of .NET Application Architecture Guide, which provides guidance for architecture principles, design principles and trusted patterns. It helps developers and architects to build more effective, high quality .NET applications. It is also a good overview of software architecture for students. Unit testing has become rather important in the last decade as the need for quality code increased. It is also an essential part of Test-Driven Design which is a part of Extreme Programming. 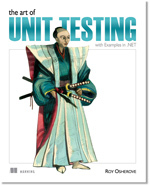 Probably the most common approach to do unit testing in .NET solutions is by creating special Tests projects in a pair to the library we want to test and perform the testing in NUnit . In Silverlight projects we would like to test the business domain logic on the server and the ViewModel classes on the Silverlight client side. If you haven’t ever used unit testing read an excellent book The Art of Unit Testing with examples in C# which will guide through both the theory of unit testing and practical examples. There were also a presentation of Developing Testable Silverlight Application at the Microsoft PDC conference. Note: I plan to enlarge this article later with a real example of Testable Silverlight Application. Domain model is a pattern for an object-oriented approach for organizing business logic. Let me introduce you 2 books which deal with this pattern, previously briefly described in the P of EAA book written by Martin Fowler. 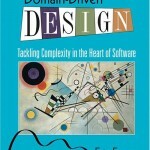 The book offers readers a systematic approach to domain-driven design, presenting an extensive set of design best practices, experience-based techniques, and fundamental principles that facilitate the development of software projects facing complex domains. Intertwining design and development practice, this book incorporates numerous examples based on actual projects to illustrate the application of domain-driven design to real-world software development. 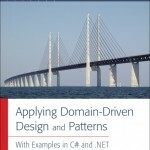 Applying Domain-Driven Design and Patterns is the first complete, practical guide to leveraging patterns, domain-driven design, and test-driven development in .NET environments. Drawing on seminal work by Martin Fowler and Eric Evans, Jimmy Nilsson shows how to customize real-world architectures for any .NET application. You’ll learn how to prepare domain models for application infrastructure; support business rules; provide persistence support; plan for the presentation layer and UI testing; and design for service orientation or aspect orientation. I encoutered a problem, when I wanted to load Employees entities also with some associated entities at once, from the well-known AdwentureWorks database model (in Entity Framework) via DomainService/Context in a .NET RIA Services SL Application. So if you encountered the same problem, that initially your associated/referenced entities are null when loaded, read more to see how to solve this issue. Although it looks that localization of Silverlight Business Applications is not worth of writing a post, there are some really inconspicuous problems which you have to resolve. If you want to localize the application by creating resource files of strings for a particual language (AppStrings.sk-SK.resx, AppString.de-DE.resx) you should definitely read this post (with sample source-code) to not get into trouble.